We all can use more clients and yet it has always felt like a mystery to me about how to get them. 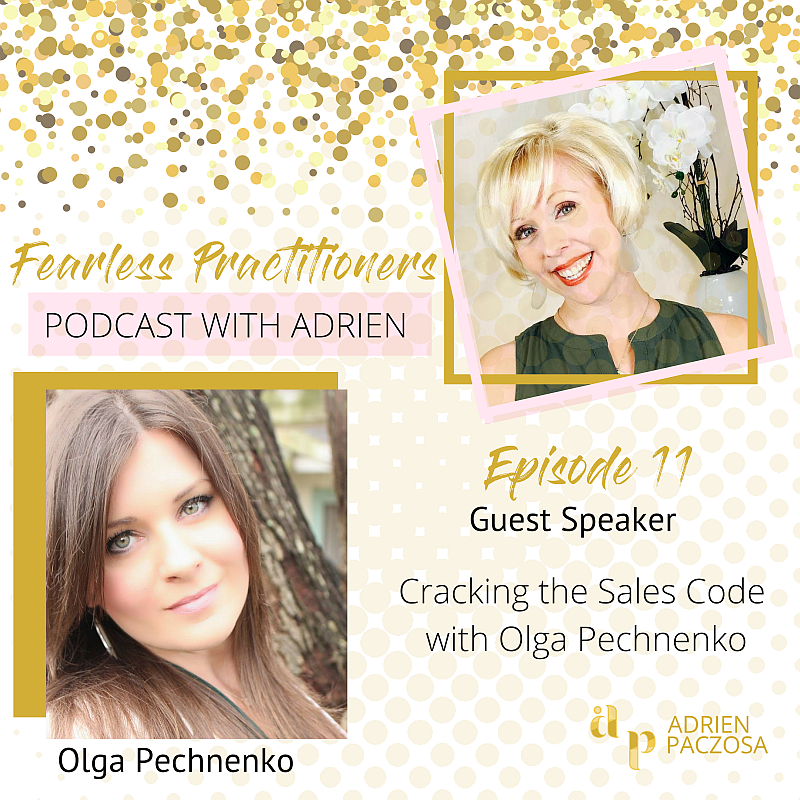 In today’s show with guest Olga Pechnenko, you will learn how to build true referral partnerships with community leaders and discover what sales is all about. The word “selling” has always had a icky taste in my mouth until I met Olga. 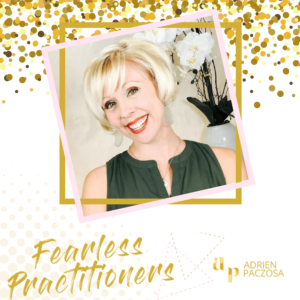 She teaches us that we are all actually selling in our daily lives, and how selling is truly all about finding out if you can help people. Olga walks us through how to build a process to follow in our marketing efforts and to make it fun. Make sure you have a pen handy because this episode is filled with great action items you will not want to miss! Olga Pechnenko is the CEO of Revenue Hire in Austin, Texas. Olga provides strategic vision, planning, and leadership to promote revenue, profitability, and growth within the company. Native to Kaliningrad, Russia, Olga studied marketing at the Baltic State Academy and held the marketing manager position for Kakadu, a chain of pet stores. Her marketing experience as well as her fluency in English led her to a sales position at McElroy Translation in 2005 where she was quickly promoted to Business Development Manager. In 2007, Olga left McElroy Translation to explore her entrepreneurial side. She, along with her business partner, created multiple startups. In 2009, upon recognizing the need for a cultural and strategic shift within McElroy Translation that would position it for growth, Olga presented a business plan to the McElroy family. In October 2009, Olga became CEO of the company and was responsible for affecting change, revenue, profitability and growth for 3 years. In 2013, Olga started Revenue Hire that helps growing companies get the right sales talent with over 90% accuracy. Olga has been an avid participant in multiple community organizations including Leadership Austin, Entrepreneurs Organization, Austin American Marketing Association, Women Entrepreneurs Roundtable and Singularity University Austin. 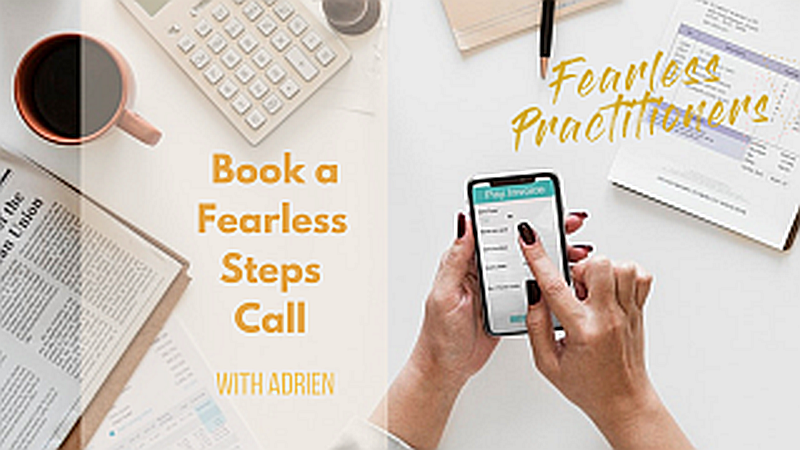 Take action in your practice with The Fearless Steps Call. Not sure where to start? Ready to get to the next level? Take the stress out of starting a private practice. Grow an existing practice and create the right systems to scale. Go to the next level so that you can have your dream practice! Stop putting off your dreams! Get the support you need to build the practice of your dreams, and take action daily! Click here for more details!